*EDIT: BTN has posted the video online. We have now included it at the bottom of this post. Today I got the chance to listen to Carl, a reporter on BTN, in a live broadcast along with my class and Room 25. It was about a topic on the news channel. The topic, Live Below The Line, was about students who took the challenge to live on $10 of food for five days. This was to raise money for people who live below the poverty line. We got to ask Carl questions via Twitter and he answered them on a live video stream. We learned that there are over three billion people living below the poverty line, which is nearly half of the world population and we also learned that the campaign helped raise over three million dollars. I enjoyed having the opportunity to learn about something that is very serious in the world today. Room 12 and 25 were lucky enough to be invited to participate in ‘Ask the Reporter’ lead by Behind the News. Both of our classes use social media in the classroom, Twitter being the main one. 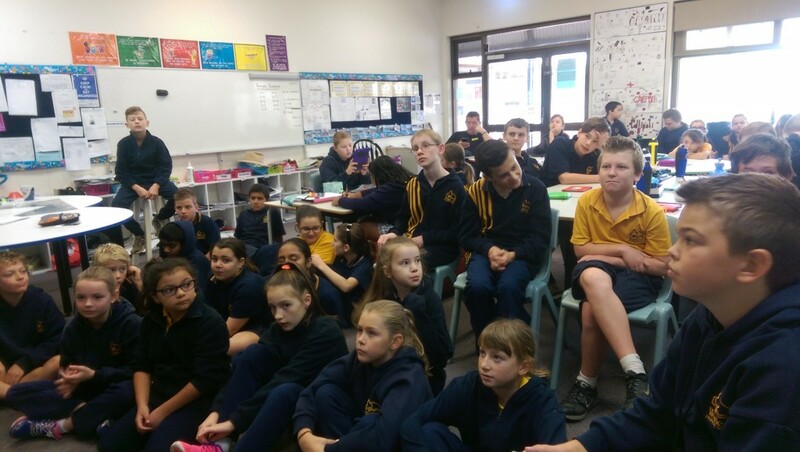 We regularly share our learning with the broader community and use it to communicate with other classes, personalities and organisations such as Behind the News. Before today the students came up with some questions to ask Carl and then we tweeted them out prior to the live stream. We could also tweet questions out during, as well as sending questions through the app. 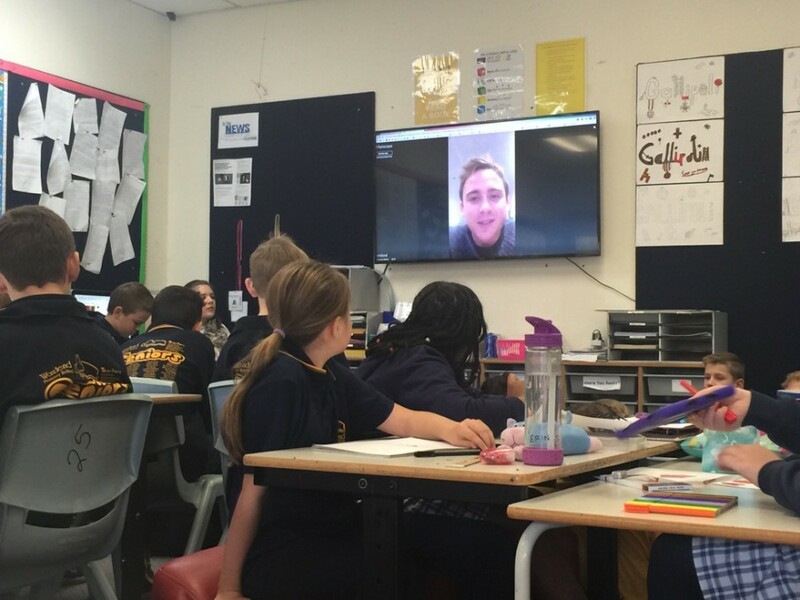 The students were very engaged as he answered questions from our classes and other classes from around Australia. We also got to have a behind the scene tour of the studios. Behind the News is something that we watch weekly and twitter allows us to connect with them. It allows us to share what we are doing after viewing their stories, such as the #behindyou campaign, and it allows us to ask questions that may otherwise go unanswered and deepen our understanding of the topics of the week. This was the first time that we as BTN had tried this and it was a great success. We are looking forward to the next ‘Ask the Reporter’ session! This is excellent. A great learning experience. I hope it got students to learn a bit about the value of money. I enjoyed doing ‘Ask the Reporter’ and I hope we can do it again some other time. Thank you, Miss Ottewell, for letting me share my learning on the class blog! We will most certainly be doing this again too Ellie.